Whether you're just starting in real estate or a seasoned pro, this guide has something for you. We surveyed over 1,000 real estate professionals to better understand how they go about their business and what it means to their bottom line. Compared to NAR's 2016 Member Profile, our students report earning 80% more. What are they doing? Where do they focus their efforts? Find out in the guide. 8 out of 10 agents report being satisfied with their career—and it pays off. Why are real estate professionals happy? Download the guide to find out. Top earners excel in four key areas, and they have the income to prove it. 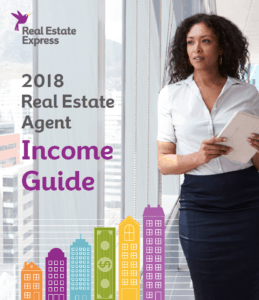 Inside this guide you'll find what opportunities to focus on in your first years of real estate that can have a big payoff later on.